Please visit our Calendar for more details local and nearby events. Have you ever wondered who your other elected officials are? For a comprehensive list of your elected representatives, visit our Resources page and click on Government or go to the list directly. If you know of a useful resource we should add - let us know! To be notified of local emergencies via voice, text, or email message, register with NotifyLA, Los Angeles’ notification system. For zoning updates, visit the Sylmar Plan Updates page. Download the 204 page DRAFT of the Community Plan proposal. We strongly encourage those of you with horses to review the draft plan. Some historically equine properties are not accounted for! Register your horses! It will make a big difference in preserving our horsekeeping status. Click here to license your horse or dog online. Click here for general information about Animal Services Department. Check our Resources page for updates on rezoning, blankets for dogs and cats, SAFE Centers for recycling electronics, etc., free mulch locations and more. 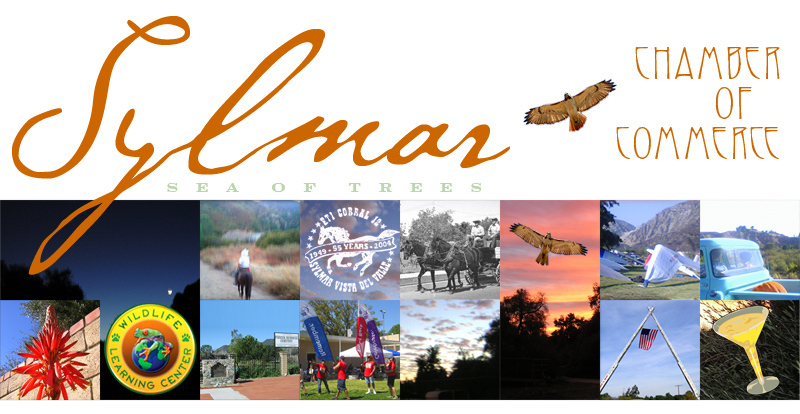 These and more community news can also be found on the Sylmar Neighborhood Council website. The San Fernando Valley is a very special place offering a small-community way of life with world-class business, commercial, employment and visitor opportunities. Our little corner of The Valley features a community of diverse cultures with rich traditions. Sylmar is a huge opportunity for someone with the vision to understand and serve our community of 90,000 residents!